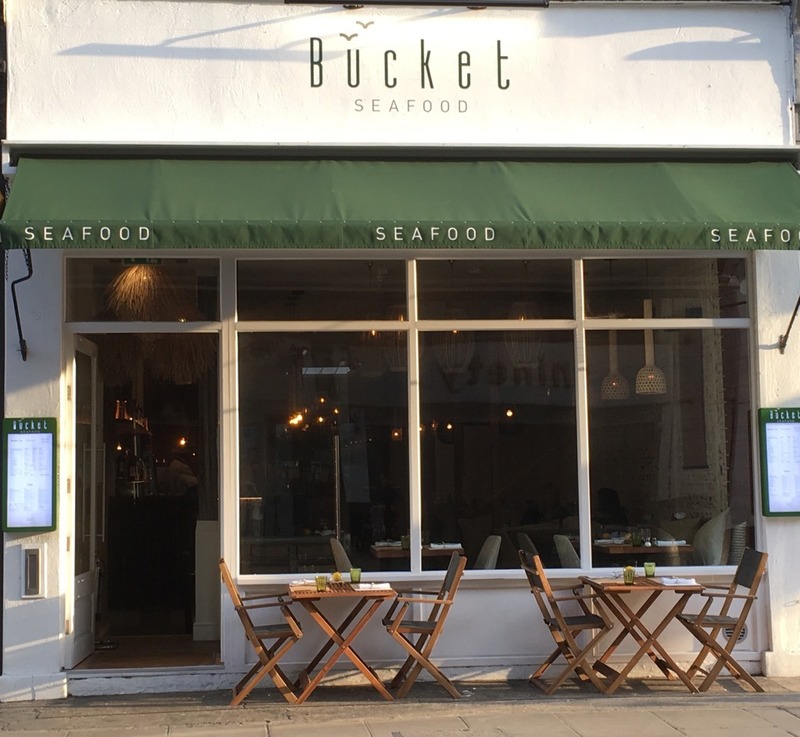 Bucket seafood restaurant is at the Westbourne Grove end of Notting Hill and is an informal and affordable addition to the area. 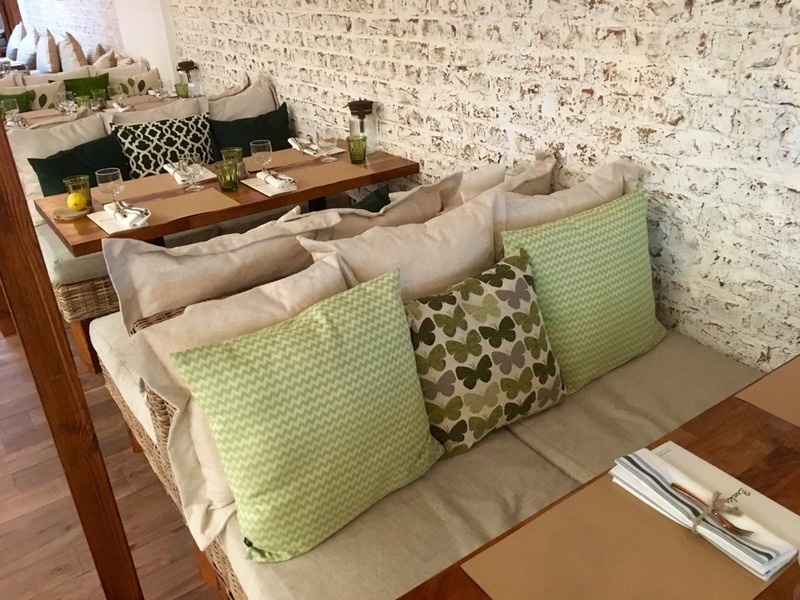 The bar at Bucket has already become a local destination with items such as The Seaweed Martini, wine-based Bucket Slowdowners served by the jug, Lobster Toasty and Bucket Fish Finger Sandwich being a hit with punters. 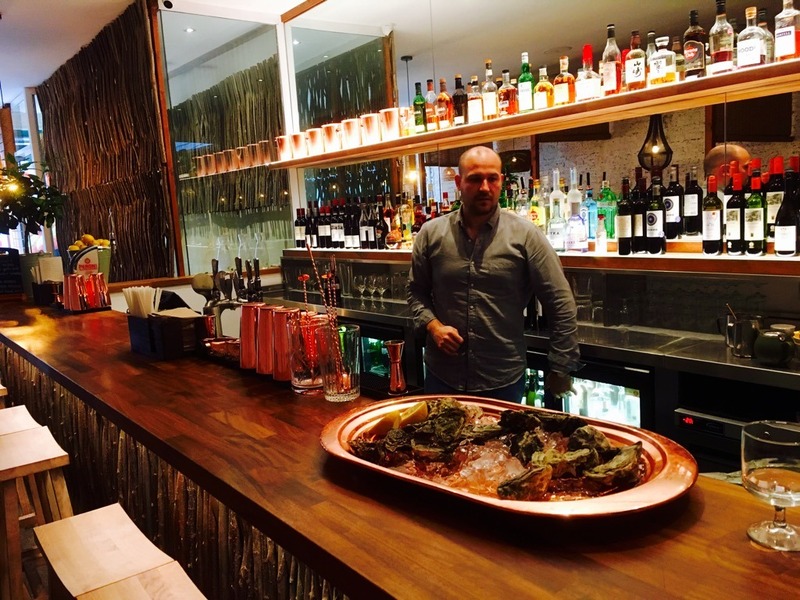 There is also the Bucket bar table with an inbuilt ice bar, seating up to 8 and perfect for celebrations. 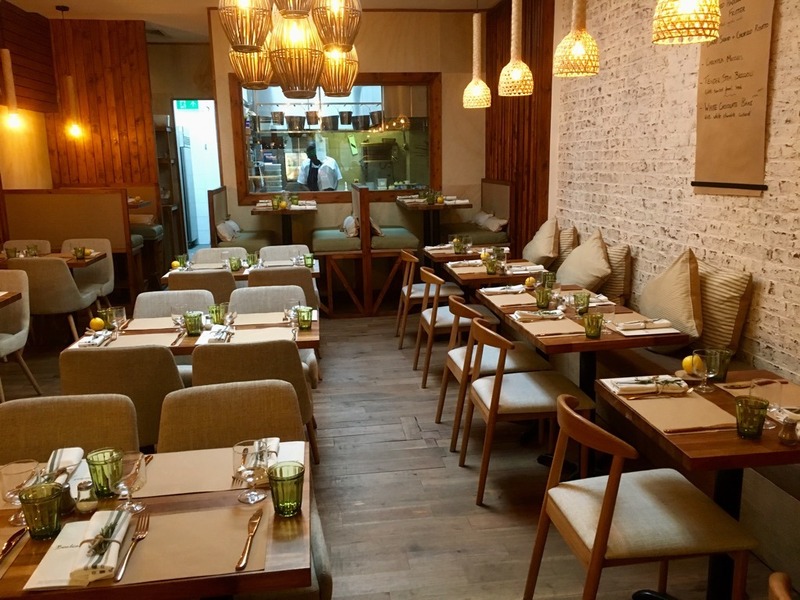 The interior of the restaurant is about brick and wood with hanging pendant lights giving a soft glow to the proceedings. It’s the perfect place for a date or hanging out with friends. The Bucket menu is divided into Bites, Small Plates, Plates, Buckets, Boards and Sides giving a range of options from tasty bar snacks to a full pescatarian blow out. 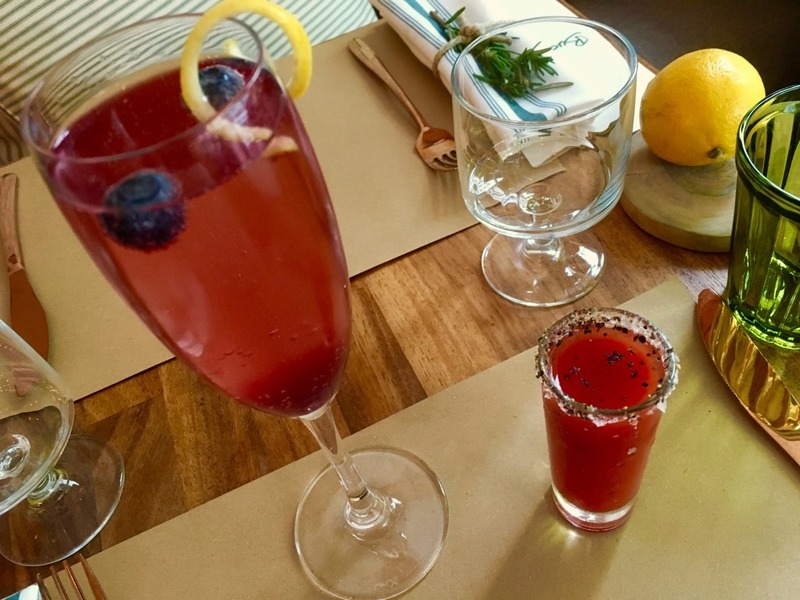 But to get the gastric juices flowing we tried the Blue Zest cocktail, a sweet yet astringent blend of Frizzante, blueberry and lemon zest, and an enervating spicy and hot Bloody Mary Shot, mixing Russian Standard vodka with tomato, Sriracha and oyster sauce. 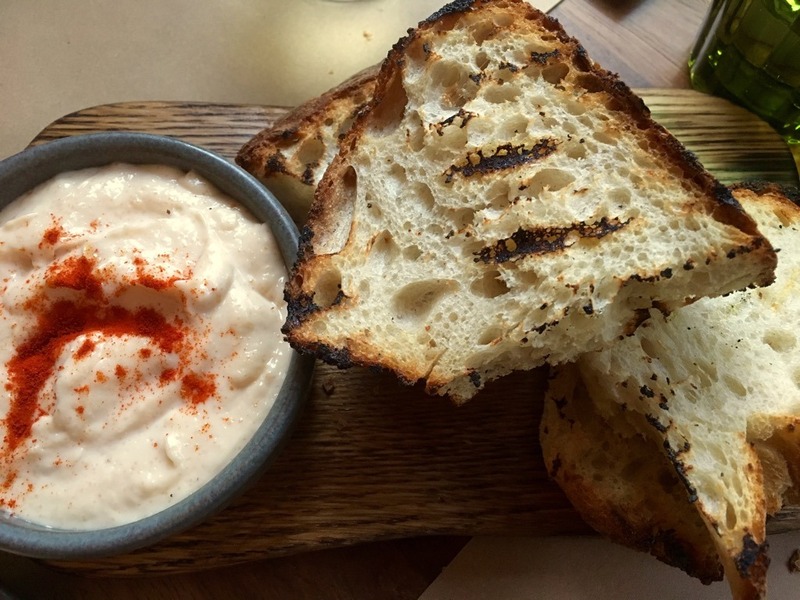 We damped down the alcohol with delicious white leavened sourdough bread from The Bread Factory and the most delicious and authentic Taramasalata I’ve had in the UK with the smoked cod roe flavour coming to the fore. From the ‘Oyster Hour’ offer we had 6 meaty, saline Cumbrae rock oysters at only £6 (this must be the best deal in London) with an exciting range of sauces – Bloody Mary, cucumber and dill vinaigrette, the classic Sauce Mignonette with red wine vinegar and shallots, and the Asian inspired chilli and ginger. 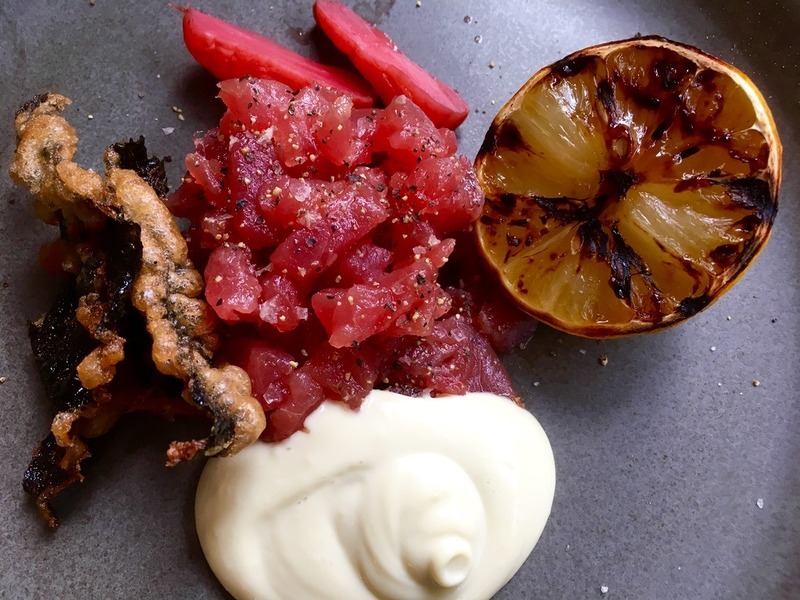 Again, from the Small Plates menu came a wonderful dish of big chunks of really fresh Tuna tartare with breakfast radish, a lightly-scented avocado mayo and freshly battered seaweed crisps. 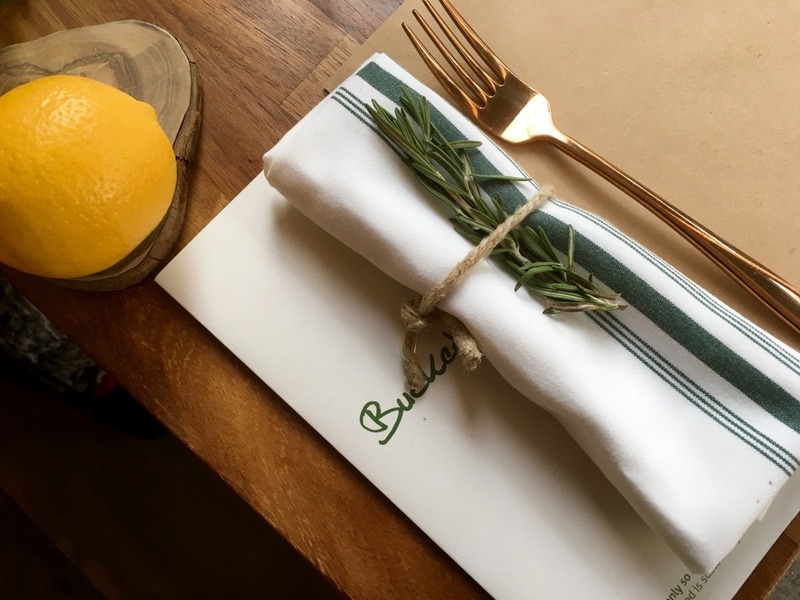 In preparation for our mains we had moved on to the crisp apple notes of a bottle of Gavi di Gavi ‘Terre Antiche’ La Giustiniana 2017. One of the things I like about the Bucket menu is that there is plenty of choice for both wine and cocktails without feeling overwhelmed. And then the eponymous Buckets! 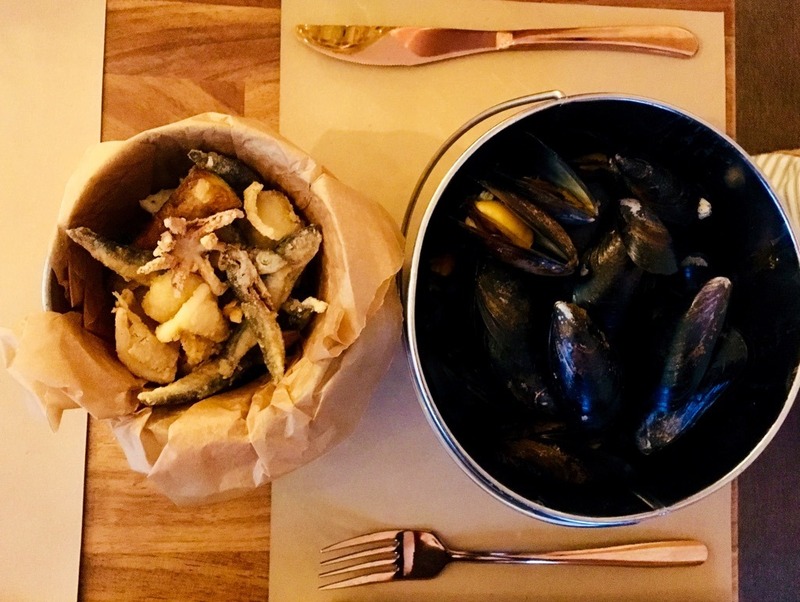 A seafood Fritto Misto needed to be hotter and crisper but had a good batter, and the Mussels in a lobster bisque were juicy and full of brandy flavour. 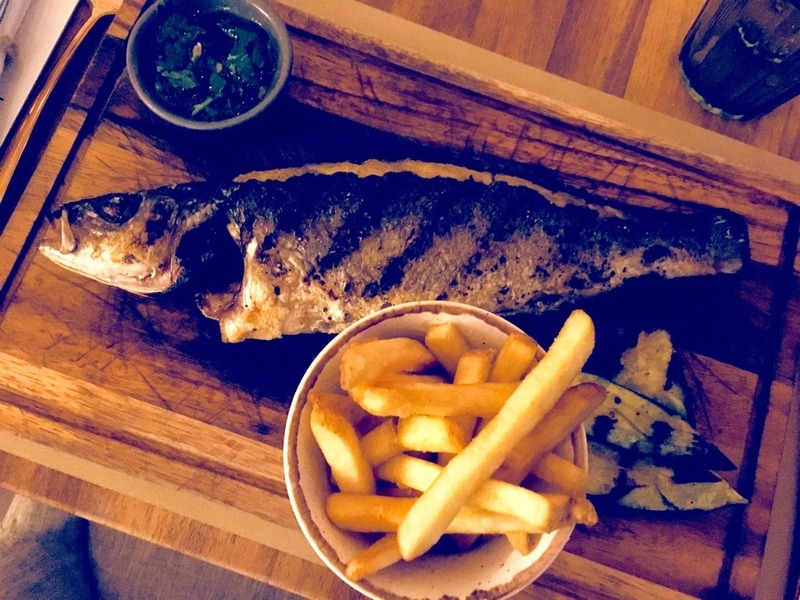 From the Boards menu we chose a grilled whole sea bass with accompanying Bucket sauce ‘verte’, grilled courgettes and crisp fries. 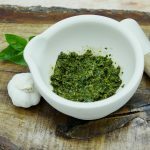 This dish exemplified the restaurant for me – simple cooking, great ingredients and big flavours. 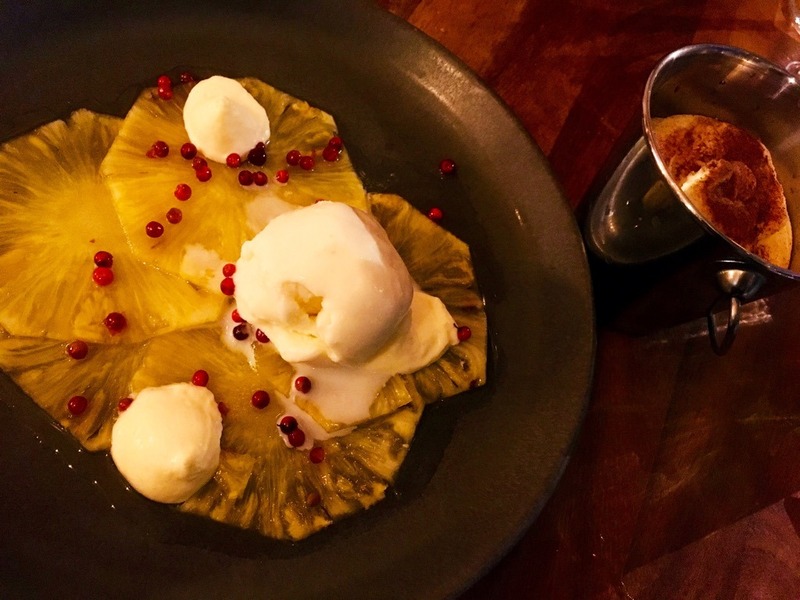 Pineapple carpaccio with pink peppercorn, lemon thyme cream and coconut ice cream was a great dessert – in turn sweet, spiky and herbal it worked beautifully with the preceding dishes. And a comfortingly creamy Tiramisu followed by a glass of chilled Limoncello was the perfect end to the evening. I’d love there to be a Bucket in my neighbourhood as it serves the sort of food I want to eat on a daily basis. 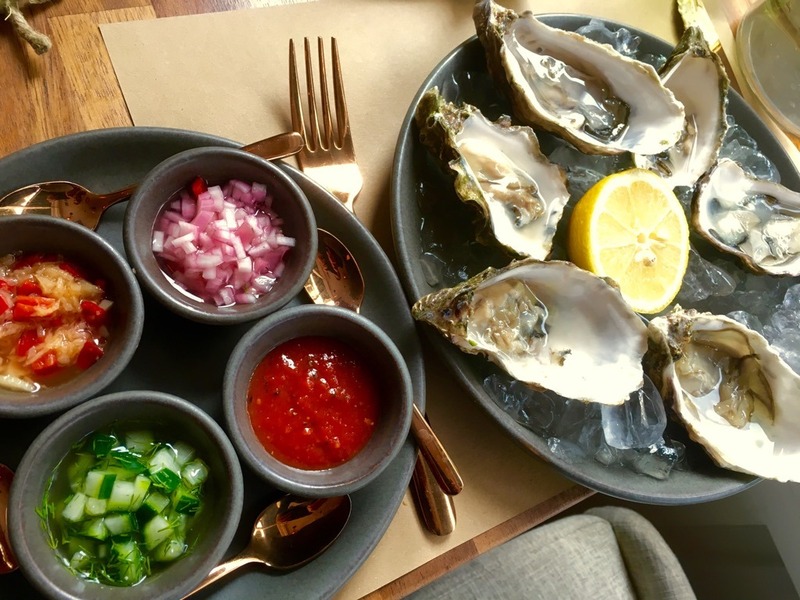 Considering how new the restaurant is the kitchen was already motoring and I’m already planning my next ‘Oyster Hour’ visit! We dined as guests of Bucket Seafood Restaurant.